The Wind & Water Learning Center provides on-water educational opportunities for sailing and paddle sports. The unique waterfront learning center located on Wolf Bay accommodates people of all ages, skill levels and backgrounds. Our current offerings include youth sail camp, private sailing and kayak classes all taught by certified instructors. 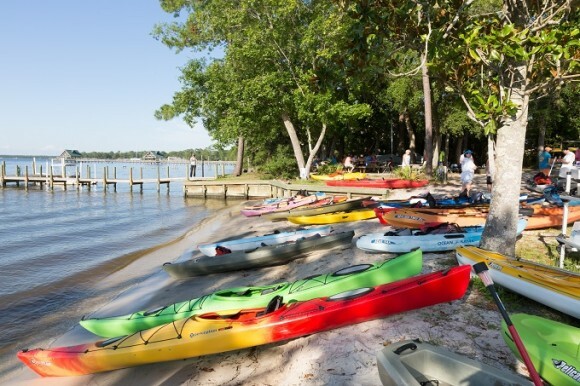 You don’t want to miss our full moon paddle events, held monthly during the season. These catered social events include live music, and proceeds are donated to the American Cancer Society.